active since July, 1, 2017. 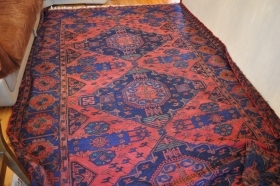 Caucasian Karabagh S-Dragon verneh sileh soumak. 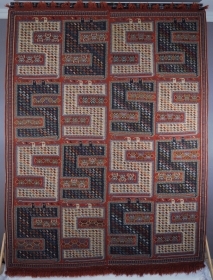 Size 202x261cm (6'8" x 8'7"). 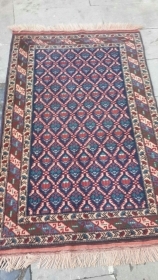 Pictures and price on request. 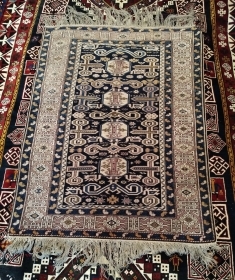 Caucasian Kuba Khyzy bag face khorjin mafrash sileh soumaks rugs 21"x25" (53x65cm) Very good original condition, no repairs. 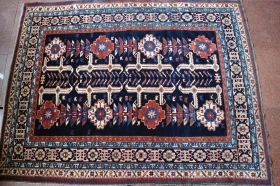 Antique Karabagh Verneh, 1880, size 135*240cm. 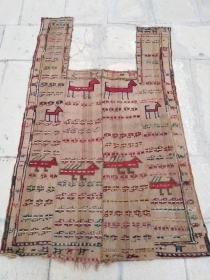 good condition, wool on wool, natural dyes. 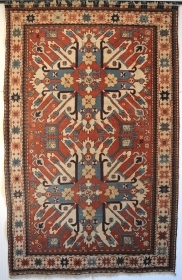 Old Caucasian Kuba Shirvan Pirebedil rug, very good original condition, size 3'7"x5'6"(108x166cm). More pics and price on request. 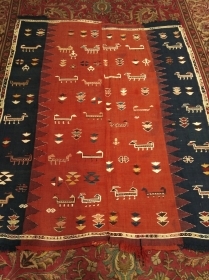 Antique Kuba Perepedil rug. 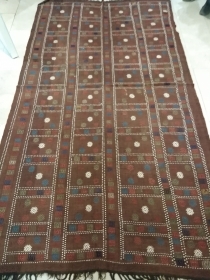 Size 105x165cm. Holes pictured, other than in very good condition. Some synthetic color. 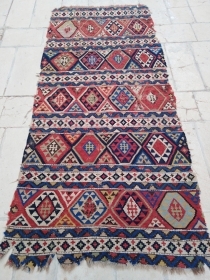 Antique Karabagh Verneh, mid 19th century, very good condition. 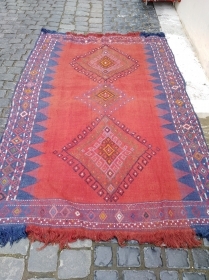 Size ~170x190cm. Wool on wool, all natural dyes, whites are cotton. 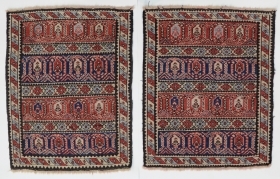 First quarter 20th century Karabagh rug, approx 170sx320cm. 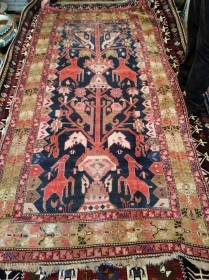 Antique Caucasian Kuba Shirvan Rug, Chi-Chi, aprox. 50 years old. 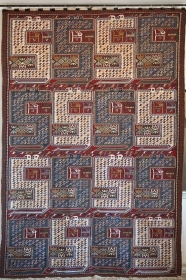 Size 105x168 Wool on wool, good condition. 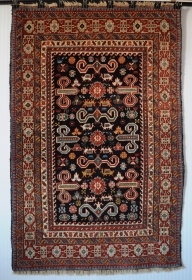 Antique Caucasian Kuba Rug with Afshan design, Early 20th century, size 123x160cm, wool on wool. Good condition.